One of poverty’s most dehumanizing symptoms is food insecurity. When a person is hungry, or simply unsure about where their next meal will come from, they are in survival mode. Since food insecurity is inextricably linked to other forms of social inequity caused by class, race, and legal status, it’s a problem that cannot be solved without addressing all the surrounding factors as well. When grocery stores are nowhere to be found, or are too expensive to serve the population in their neighborhood, the problem worsens. Gentrification and increased cost of living are pushing low-income people further away from grocery stores, which also compounds the problem. Programs like SNAP can alleviate the burden, but they exclude many people, including new immigrants and homeless people. 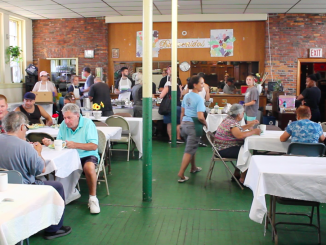 Alternate solutions, like soup kitchens and affordable mobile markets, are trying to pick up the slack. In the US, food insecurity affects one in six children, and one in eight adults. Government food aid can help, but it’s almost never enough, and the system leaves many behind. The East Boston Community Soup Kitchen and Fresh Truck are two initiatives that support East Boston’s food insecure community. 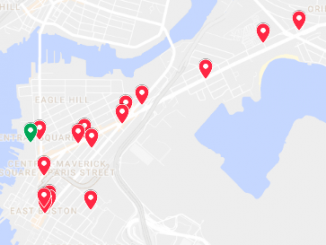 One grocery store for over 40,000 people means that parts of East Boston are food deserts. 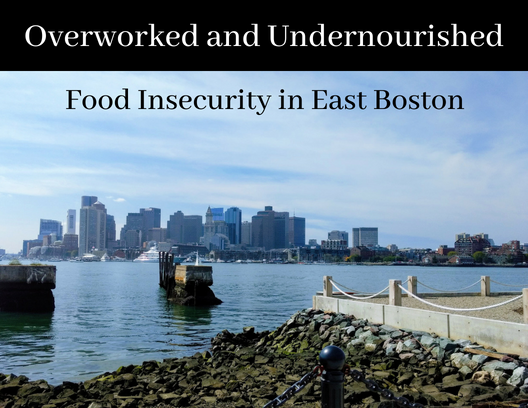 The defining characteristics of East Boston – high immigrant population, and rampant gentrification – create dynamics that make affording food even harder. 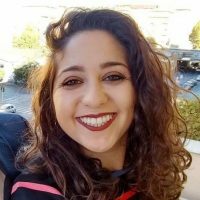 Dahlia Snaiderman is a multimedia journalist and podcaster originally from Toronto, Canada. She's currently an intern at Christopher Kimball's Milk Street Radio, and at Boston Free Radio. She loves everything about food and cooking, and used to work in restaurant kitchens before deciding that her other favorite thing- talking- could make for a better career. She thinks in Spanglish.